Roxanne is a great dog to have. She is funny and very kind but determined. There is not much that phases this girl. She is wonderful with our grand children. Her show results are outstanding for one so young.To date she had multiple classes in show, multiple Best Exhibit in Group and many more classes in group. We are thrilled with her fantastic results. Adding to this puppy in breed at the Sydney Royal Easter Show. 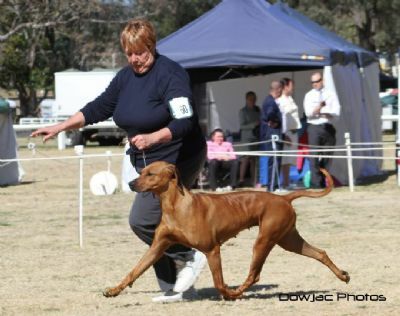 Roxanne was awarded Res CC at 2014 Sydney Royal winning a large class. 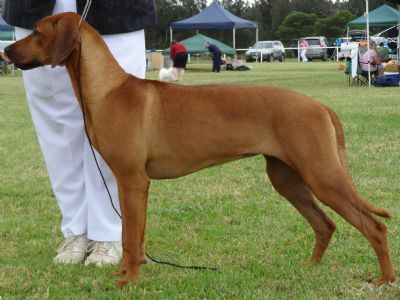 Roxanne was placed 2nd at 2014 QLD National in a very large class. Roxanne will be off on maternity leave for some of 2015. 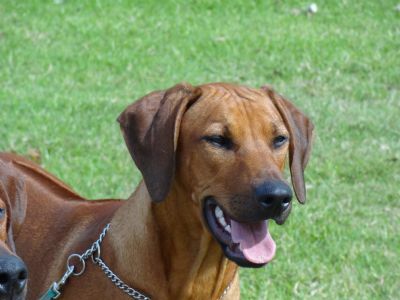 Roxanne has been hip and elbow scored, DM - clear, heart testing - clear, eyes - clear.